With the third anniversary of Norway’s July 22 terror attacks in 2011 on the horizon, Labour Party (Arbeiderpartiet, Ap) Secretary Raymond Johansen worries there’s been a part of the debate left untouched. Johansen told a local magazine this week that the party did not want to be accused of politically capitalizing on the attacks, but it was time to discuss the fact that Anders Behring Breivik’s main target was the Labour Party itself and its policies. Johansen thinks it’s now time to talk about the hatred Breivik stood for. In the latest issue of the Journal of the Norwegian Psychological Association (Tidsskrift for norsk psykologforening), he explained the rage and frustration that existed within the party immediately following the attacks, but which wasn’t allowed to play out in the public sphere. Breivik’s defense lawyer Geir Lippestad, a member of the Labour Party himself, agreed it was time to address the rise of far-right extremism. “Together with increasing inequality and poverty, it is a very sinister development,” he told Aftenposten. “A generation of youth struggling to find work, education and housing. This gives fertile ground for all kinds of radicalization. Aftenposten’s political editor Harald Stanghelle argued Johansen was mistaken if he believed Norwegians had ignored the extremist motivations behind the attacks. Debate has in fact been lively, if not within the Labour Party itself. “Anders Behring Breivik affected us as people, but his stated main target was the Labour Party,” Stanghelle wrote on Thursday. “Raymond Johansen has that absolutely right.” New party leader Jonas Gahr Støre has also acknowledged, though, that Labour was the target of both the massacre at AUF’s summer camp on Utøya and the bombing of government headquarters in Oslo. 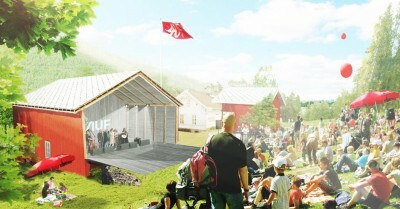 Meanwhile, AUF has backed away from plans to tear down what was known as the “café building” on Utøya, where 13 AUF campers were gunned down. 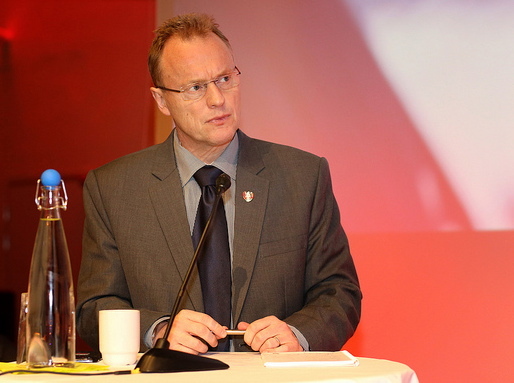 Leader Eskil Pedersen said it was “unthinkable” to return the affected parts of the building to normal activity, and admitted he and other AUF officials had moved too quickly with the plans for a new Utøya. “We have never had any desire to forget July 22, and delete this from Utøya’s history,” Pedersen said. “I see that tearing down the parts of the building which have visible traces would be a mistake.” He said the decision to demolish the café had been made in 2012 and had widespread support at the time, but doubts later emerged. Memorial plans marking the massacre have also been controversial. “We want a place that affected families, survivors and others can visit,” he explained. “In the future it can maybe become a sort of learning center in the fight against racism. But we have not come so far with exactly how the building should be designed.” A pump house where 14 people were shot will also remain standing.